Arnold Joseph Grouette - Edmonton's Burial & Cremation Professionals | Trinity Funeral Home Ltd.
Arnold Joseph Grouette, 84, passed away Friday, January 27, 2017 in Lamont, Alberta. He was born September 30, 1932 to Father Desiree (Bert) Grouette and Mother, Corona (Adam) in The Pas, Manitoba. Arnold’s main career was as a 25-year Veteran of the RCAF, serving in Search and Rescue and air traffic control. Arnold lived across Canada with his RCAF career posting him and family from Newfoundland to Vancouver Island, BC. Arnold also had many other jobs he enjoyed, such as working at the Sportsplex in Brandon caring for the ice, running a security detail at mines in northern Manitoba and being a courier driver for banks. Throughout his life, wherever he resided, he enjoyed nature and animals, spending many happy hours in the bush and woods trapping. He also recreated those memories through taxidermy and carving animals from horn & wood. He gifted many friends and family members with his carvings. Examples of his fine taxidermy work are on display in Manitoba, at the Oak Hammock Marsh Interpretive Centre, where he donated many different types of birds and animals for their display purposes. 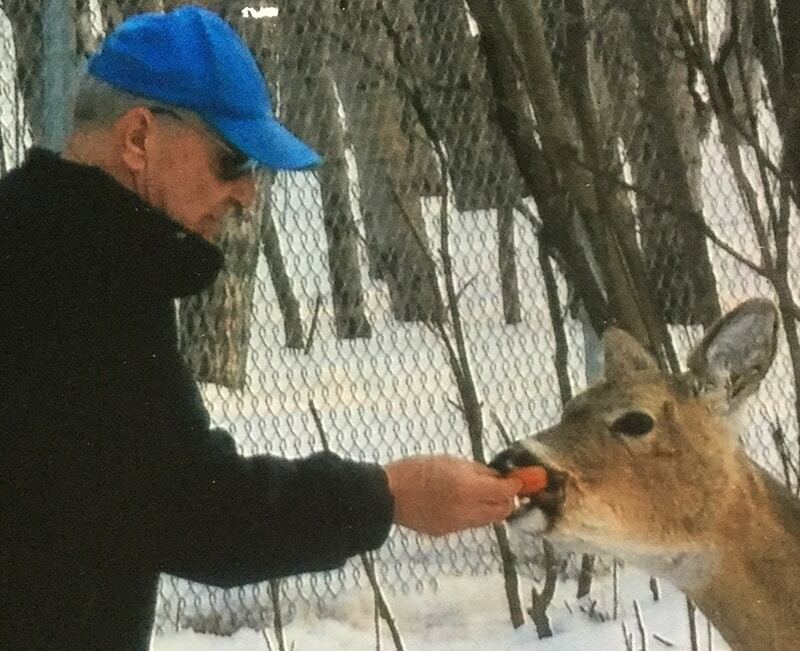 Arnold’s favorite place to visit recently was Elk Island National Park in Alberta; he visited the park almost daily over the last year, taking many walks along the trails, having picnics and just sitting, enjoying the day. Arnold is survived by his daughters Cynthia, Corona and Patricia and his son Michael, his grandchildren Steven, Tamara, Terri-Lynn, Danny, Trisha, Scott, Tommy, Crystal, Jennifer, Dawn and Norman; as well as many great-grandchildren, nieces, nephews, other relatives and friends. He was preceded in death by his parents; his grandparents; his first wife Myrtle and his second wife Theresa, and three sons, Sonny, Marty and Steven. A celebration of life ceremony will be held on Saturday, February 4th, 2017 at Moss Lake Trail in Elk Island National Park, Alberta from 3:00 until 4:30 PM followed by a drive through the park. Arnold’s final resting place will be in the Hillside Cemetery Columbarium. A short ceremony will also be held at the Hillside Cemetery in Portage La Prairie on Monday, 1:00PM February 6th, 2017 at the time of interment. I just wanted to say, that we are deeply sorry for your loss. I deeply loved him with all my heart! He was my only grandfather. I cared about him more than many may know. He was a very special person to my siblings and I . I just wish I was given the opportunity to say good bye.